Deepak Menon has a BE and an MBA, and has several years of national and international experience with various companies, in the marketing research and communications area. He joined Arghyam in 2008, to work on marketing and outreach efforts of the India Water Portal and to manage its associated Portals, and later on managed its overall operations. Since 2012, he has taken on the role of Director. He is based at Bangalore, Karnataka. Balachander has over ten years of experience in the field of community-based natural resource management. He has a background in Rural Management from the Institute of Rural Management, Anand, and has worked in Andhra Pradesh, Gujarat and Tamil Nadu. He is currently with the Keystone Foundation. He has a keen interest in open source technologies and blogs here. He works with the Portal as a consultant and is based at Kotagiri, The Nilgiris, Tamil Nadu. Nisha Thompson has a background in online community organising. She has worked for the Sunlight Foundation in Washington DC, with online communities to use US government data to hold elected officials accountable. 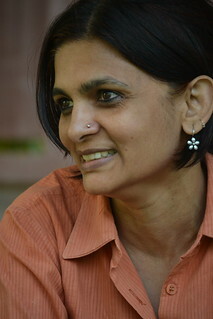 She moved to Bangalore, Karnataka in October 2010. She worked on an Open Government Data report for the Centre for Internet and Society and now works full-time with the Portal, on the Data project. The Data project aims to collect and open up water and related data, so that citizens and practitioners can use it to improve and keep track of projects and progress in the water sector. Nisreen Ahmed holds a Masters degree in Infrastructure Planning from Centre for Environmental Planning and Technology (CEPT) University, Ahmedabad and a Bachelors degree in Architecture from Visvesvaraya National Institute of Technology, Nagpur. Her thesis at CEPT was on "Incentives and disincentives in the application of DEWATS (Decentralised Wastewater Treatment Systems): The case of Maharashtra". She has a keen interest in working in the water and sanitation sector. She works with the Portal as a consultant, and is based at Bangalore, Karnataka. Pritha Bhattacharya holds a Masters in Water Resources Management from TERI University and is a graduate in Botany from Gargi College, Delhi University. She has interned with the National Institute of Hydrology, Roorkee under the guidance of Dr. N.C. Ghosh in the Groundwater Modeling Department, where she gained hands-on experience with groundwater modeling through the use of the HELP model. She has a deep interest in water resource management, especially in groundwater and watershed related studies. Apart from academics, her interests lie in Indian classical dance, reading english literature and photography. She is also a graduate in the Kathak dance form. She works with the Portal as a consultant, and is based at Noida, Uttar Pradesh. Shubham Singh is a full-time student at Narsee Monjee Institute of Management Studies, Mumbai. He is pursuing MBA Tech and has worked with several organizations such as Let Me Know, Youth Ki Awaaz as a writer during his studies. He has also represented his college at many prestigious institutes and won accolades. He admires and shows deep concern towards every aspect of nature. He is also passionate about reading classic literature, writing and graphology. He says, “I have the drive and motivation to do my very best every day. I don't chase idle dreams, addictions, religions, even other people, hoping to fill the emptiness in life. Instead I feel that the only place that irony is ever needed, is within”. He works for the Portal as an intern and is based at Mumbai, Maharashtra. Sumedha Khosla has an MBA from Cardiff University, UK and spent over 5 years at Microsoft, Redmond as Program Manager in various divisions. She works with the Portal as a consultant, and is based at Bangalore, Karnataka. Priya Desai has a BA in Journalism & Psychology, and is currently pursuing a Post Graduate Diploma in Environmental Law from the National Law School, Bangalore. She worked in the field of advertising for five years before moving to the development sector in 2011. She works full-time with the Portal and handles the Partnerships and Outreach function. She is also involved in the everyday running of the Portal and its associated programmes. She is based at Bangalore, Karnataka. Ragini Kathail holds a BA in Molecular Biology from Pomona College, USA. 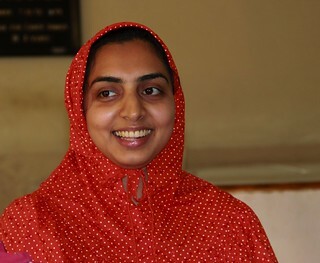 After graduation, her interest in rural development issues led to her work at the Foundation for Rural Recovery and Development (FORRAD), a Delhi-based non-profit focusing on natural resource management, especially clean drinking water, watershed management, and comprehensive water conservation. She works with the India Water Portal and Arghyam, as a fellow with the American India Foundation (AIF) , and is based in Bangalore, Karnataka. Aarti Kelkar-Khambete has over eleven years experience in the field of public health, with considerable exposure to health issues among urban, rural and tribal populations in Kerala and Maharashtra. Her work and research during her MPhil and PhD was on medical, social and behavioural determinants of health of women. She has a strong interest in exploring the relationships between health, water and environment-related issues. She works with the Portal as a consultant, and is based at Thiruvananthapuram, Kerala. Amita Bhaduri has over fourteen years of experience in the field of natural resources management.She has a background in Forest Management from the Indian Institute of Forest Management, Bhopal and Civil Engineering from the National Institute of Technology, Nagpur. She works as a consultant with the Society for Promotion of Wastelands Development (SPWD), New Delhi on water, agriculture and forest issues. She works with the Portal as a consultant, and is based at New Delhi. Ashis has over nine years of experience in working with production and marketing initiatives involving pastoralists, farmers and forest-produce collectors in Andhra Pradesh and Rajasthan. He is currently a Fellow with Sambhaav Trust, and is engaged in building and supporting community-based development initiatives involving farmers and pastoralists in Barmer, Jaisalmer, Alwar and Dungarpur districts of Rajasthan. His work is centred around conservation of land, water and forests, and in particular towards reviving local rivers and water harvesting systems in partnership with local rural communities. He works with the Portal as a consultant and is based at Dungarpur, Rajasthan. Chicu Lokgariwar is a civil engineer working in the field of water conservation since 1999. She began by working on participatory watershed management and environmental awareness in western India. In 2007-08, she was a Hubert Humphrey Fellow with the University of Washington. Here she studied the use of participatory mechanisms for water management with a focus on the stakeholder rights of ecosystems. At present, she continues this work in Uttarakhand by working on environmental flows and studying community-ecosystem interactions, especially in the context of climate change and urbanization. Chicu is also interested in travel and blogs about her experiences here. She carries out research and documentation work for development organizations in the Himalayan region, on a freelance basis. She works with the Portal as a consultant, and is based at Kathgodam, Uttarakhand. Deepika Nayyar has been working for about 5 years to understand the life and concerns of communities in various regions of India. The course of her work has led to extensive interaction with adolescents, youth and women, on discoursing and documenting rituals, cultures and traditions within the background context of 'progress and development'. Having an MBA in the field of media and communications, has helped her use various media platforms to take these observations and concerns across to varied stakeholders. She freelances with various organisations on providing media solutions related to environment and ecology issues for awareness, training and advocacy. She works with the Portal as a consultant and is based at New Delhi. Makarand Purohit holds a masters degree in social work and has over ten years of experience in the development sector. He has worked on implementation of community health programmes in Chhattisgarh and Madhya Pradesh in programme management, training and research and advocacy roles and has provided technical support to district authorities in facilitating and drafting the District Health Plan for Jashpur district, Chhattisgarh under the National Rural Health Mission. Following this, he was with Manthan Adhyayan Kendra, Madhya Pradesh for over four years, and his work there included research on private sector participation and public private partnerships in the water sector and water sector reforms in various states in the country. He works with the Portal as a consultant and is based at Bhilai, Chhattisgarh. Prarthana Rao holds a Masters in Environmental Planning from the School of Planning and Architecture, New Delhi and has over 7 years of work experience with quasi–governmental organizations, consultancy firms and not-for-profit organizations. She has worked with a varied set of stakeholders such as elected representatives, senior level bureaucrats, think tanks, NGOs and urban communities, on themes ranging from solid waste management, lake restoration, climate change and livelihood analysis, environmental impact assessments and public service delivery. She works with the Portal as a consultant, and is based at Bangalore, Karnataka. Ravleen Kaur is an independent journalist and writes on issues related to environment, agriculture and water. She graduated from the School of Communication Studies, Panjab University in 2005. She has worked with the Indian Express newspaper and Down to Earth magazine for five years, and now freelances for various newspapers, magazines and websites. She was a media fellow with the National Foundation for India in 2011, where she researched and wrote about women and agriculture in Ladakh. Some of her writings and visual work can be seen here. She works with the Portal as a consultant, and is based at New Delhi. Rekha Raghunathan is a sports junkie and a mum of two. She has worked in finance, marketing and content creation and management with organisations in India and America for over ten years. This is her first foray into the voluntary development sector. She works with the Portal as a consultant and is based at Bangalore, Karnataka. Sabita Kaushal holds a B Tech in Civil Engineering from VNIT, Nagpur and a Masters in Ecology & Environment. She has also undergone courses in disaster management from the National Institute of Disaster Management. She has worked in the education sector for about 12 years, including a stint with differently-abled children as a special educator and has worked in the corporate sector for about 2.5 years, handling projects dealing primarily with water and solid waste management. Education & environment are two fields, she is passionate about. She is an eclectic reader, loves travelling and enjoys long walks. She works with the Portal as a consultant, and is based at New Delhi. Seetha Gopalakrishnan holds a masters degree in Criminology and Criminal Justice Administration from the University of Madras, where she graduated as a gold medalist and university topper. She has a keen interest in working on development issues at a grassroots / field level. She freelances as a news presenter with Doordarshan News, Chennai. She works with the Portal as a consultant, and is based at Chennai, Tamil Nadu. 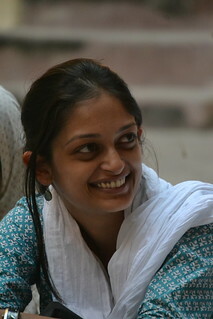 Usha Dewani is a post-graduate in Mass Communication, and has made documentary films on diverse subjects. She works with Project Survival Media, as part of which she makes video stories on local solutions and survival in the face of climate change. She is a member of New Ways, a group that uses "Grassroots Comics" as a communications tool. A trained painter and photographer, she has also carried out documentation tasks in different parts of India and volunteers for several groups caring for the under-privileged. She works with the Portal as a consultant, and is based at Guwahati, Assam. Srikanta Prasanna has about six years experience in the telecom software industry, and has a Masters degree in Computer Applications. Before joining Arghyam, he worked at Cisco Systems, Nokia Siemens Networks and with various start-ups. He works full-time as a Project Manager, and looks after the technology work of the India Water Portal and associated Portals. He is based at Bangalore, Karnataka. The Technology team's work is supported by Azri Solutions, Hyderabad and E2E Networks, Faridabad. CS Sharada Prasad came to Arghyam with about five years of experience in the IT sector. He started his career as a Java developer and his most recent role before joining Arghyam was as a pre-sales consultant. He is the co-founder of Mukta Foundation, an NPO that works towards streamlining volunteerism. His passion for working in the development sector coupled with his IT skills, helped him contribute to Arghyam's objectives. CSP was the technical point person on the India Water Portal team and for a long time managed Arghyam's internal IT and telecom infrastructure, and coordinated the work of the Kannada Portal. He made waves in the sector in 2008 with a 19000 km bike ride across the country - "In Search of Water", where he visited NGOs and communities across the country to learn about local water problems and solutions. Sharada is currently pursuing a MS-PhD course in Energy and Resources at University of California, Berkeley. Arun Patre spent about four and half years in the corporate finance world which included a three year stint at Reuters and the rest at a financial consulting firm. His interest in environment and community issues, which developed while traveling across stretches of India led him to join Arghyam in 2008. He was part of the advocacy efforts through the ASHWAS – Karnataka Water and Sanitation survey and later worked with the Communications function of the India Water Portal, and later with the Ask the Expert service, as a volunteer. He is also associated with the Acara Institute, where he manages an education program on social entrepreneurship in universities in India & USA. He is based at Bangalore. Rashmi Gopal is an instrumentation engineer with nine years of experience in the engineering and software services industry. She moved to the development sector in 2002 and worked with TERI for six years in the field of environment education and environmental policy, including intensive work with schools and colleges across the country. As a member of the technical committee, she participated in the development of the rainwater harvesting policy for Karnataka and authored a training manual on rainwater harvesting for engineers and other practitioners in urban Karnataka. 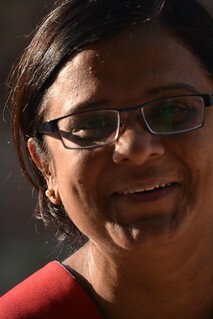 She coordinated the work of the Schools Water Portal, as a consultant based at Bangalore. Samir Nazareth is a Post Graduate in Development Economics from Pondicherry University, and has worked for about fifteen years with various national and international environmental organisations, last at Greenpeace. After a stint at freelance research and writing work and teaching, he now works with Dainik Bhaskar (English edition), at New Delhi. He worked with the Content team as a consultant based at Nagpur, and blogs here. Anita Doval is a faculty with the Department of Political Science, at Gargi College, University of Delhi and supported the Ask the Expert service of IWP, as a consultant. She holds MA, MPhil, and PhD degrees from Jawaharlal Nehru University; her PhD research work was related to International Relations. She has over 8 years of research and teaching experience in political science, apart from development sector experience related to water and environmental sanitation, and natural resource management with work spanning content development, training, research and advocacy. She is based at New Delhi. Francis Fernandez is a post-graduate in biology, with a keen interest in technology and the non-profit sector. He helped keep the Feedback and Ask The Expert sections humming on a daily basis. He is based at Trivandrum. 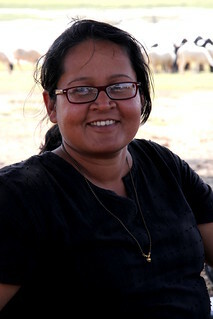 Sunita Sangar has more than fifteen years of research experience in inter-disciplinary areas of technological and social change and S&T policy issues related to natural resource management (soil & water) at NISTADS New Delhi and later at Centre for Advancement of Sustainable Agriculture (CASA) New Delhi. She is a recipient of the Professional Development Award (PDA), for her project under Innovation, Technology and Society (ITS), a program initiative of IDRC Canada in 2007. Between 2007-10, at Society STADD, she coordinated a NAIP (ICAR) – World Bank-funded research project on conservation agriculture (bio-fertilisers). Currently, she is associated with ING-SCON, and also does research and documentation work for other development organisations on a freelance basis. She worked with India Water Portal as a consultant based at New Delhi. Habeeb Noor joined Arghyam to work with its Urban Water initiative. He worked with India Water Portal as a Project Officer, and supported the data and applications programme. He now works with Arghyam's Grants Team. Habeeb earned his BA in Economics and Political Science from the College of William & Mary, Virginia (USA), and is based at Bangalore. Samuel Rajkumar works with Inspireware, and supported Sharada in building and managing the technology work of the India Water Portal and associated Portals, including their migration to the new Drupal versions. He also supported the Data and Applications program. He has an active interest in social and development issues, and is based at Bangalore. Vijay Krishna has about nine years of experience in the software industry after a BTech from IIT Madras and a Masters in Physics from UPenn, USA. He has developed and managed projects in different domains in the US and India, last at Juniper Networks. He has an abiding interest in social and development work, being involved in informal ways for a long time. At Arghyam, he worked intensively on the India Water Portal since its launch in January 2007 and directed the overall Portal effort until March 2012. Since 2009-10, he has taken on the responsibility of directing Arghyam's Research and Communications initiatives. He is based at Bangalore. 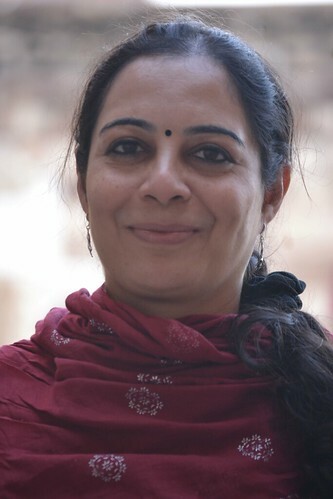 Reena Pinto joined Arghyam as a Program Associate for the ASHWAS – Karnataka Water and Sanitation Survey in 2008 and later worked with the Portal as a Project Officer, where she managed the Portal's work with children, teachers and schools. Before working with children, teachers and schools, she was previously with the Product and Community team and supported the daily operations of the Portal, including organising of events, managing community content, coordinating with the Grants and other teams within Arghyam, and with vendors and consultants for content related work. She holds a Masters degree in Social Work and a Post Graduate Diploma in Human Resource Management. She enjoys working in the non-profit sector. Before Arghyam, she worked with the Ashraya Children's Adoption Centre. She is based at Bangalore. Parineeta Dandekar holds a Masters in Environmental Sciences and a Diploma in Integrated Water Resources Management, from the Asian Institute of Technology, Bangkok. She has over seven years of experience in community-led river basin management, environment education and working on the water-ecology interface, with a particular interest in issues related to environmental flows and river conservation. She was the Joke Waller-Hunter Environmental Leadership Fellow for the year 2009-10. She is associated with Gomukh Trust, Pune as well as with the South Asia Network for Dams, Rivers and People (SANDRP), New Delhi. She loves juggling time between rivers, forests and her family. She worked with the Portal as a consultant as part of the Product and Community Team, and is based at Pune. Raju Mimi holds a diploma in computer technology from Thiagarajar Polytechnic, Salem. He has been covering the issue of large dams in Dibang Valley in Arunachal Pradesh since 2007. He is also a news correspondent for Arunachal Times. He worked with the Portal as a consultant, and is based at Roing, Arunachal Pradesh. Chetana B Muraleedhara has a background in fine arts and design, with a Masters in Fine Arts (MFA) in Painting from Bangalore University, and a post-graduation in Photography Design from the National Institute of Design, Ahmedabad. She has a keen interest in understanding social and environment issues through the medium of art and photography. Some of her projects include - 'Tale of a tree', a photographic book that captures different stages of a tree, and ‘Silens’, an award-winning photo-essay that captures Hridayakunj of the Sabarmati Ashram in Ahmedabad. She worked with the Portal as a consultant, and is based at Bangalore, Karnataka. Sucheethra Srinivasan has over ten years experience in the ITES industry. She has worked with children upto six years of age, as an Montessorian. She completed her graduation in Psychology from Bangalore University and holds a Diploma in Montessori Education. She worked with the Portal as a consultant and is based at Bangalore, Karnataka. 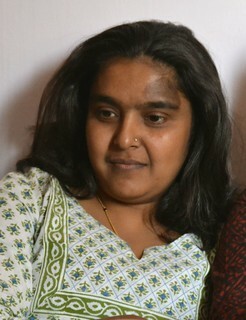 Sumathi Sivam holds an MPhil in Law and Governance from Jawaharlal Nehru University, New Delhi, and a Masters in Political Science from University of Delhi. Prior to joining the Portal team, she worked with Institut Français de Pondichéry (IFP), on a short-term European Union-supported project called “Chance2Sustain”. Before IFP, she worked with SaciWATERs, as a Research Associate for their Crossing Boundaries Project for a year, where she was involved in developing educational resources on "Integrated Water Resources Management". She worked with the Portal as a consultant and is based at Karaikal, Puducherry.